The Manchester City left-back posted his location on Instagram as being at Hong Kong worldwide airport and when this was put to Guardiola, whose press conference was being broadcast on Sky Sports, the manager signalled his confusion by swearing. Wow, I didn't know. I didn't know it. F***, he's a lucky guy! "Every time I am with my phone I am on Instagram or Twitter and [so] now I need to be careful", the left-back said. "Yesterday he was in Barcelona. I'll have to install Instagram". Meanwhile, Guardiola rejected suggestions that Liverpool are feeling the pressure after back-toback draws saw them drop below City at the top of the table. 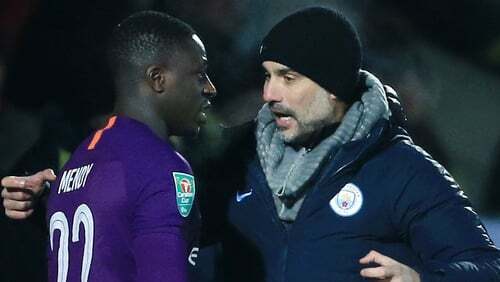 In response to a tweet from City Watch which transcribed Pep's comments, Mendy tweeted: "It was just joking with my uber driver I dont want no problems Pep". "Tomorrow they play before us and I think things are going to change", the City boss said.